You nailed the interview, landed a job offer, and are set to start in a few days. But you’re queasy with anxiety. It’s natural to feel nervous about the first day of a new job. However, the best way to overcome those first-day jitters is to be prepared. 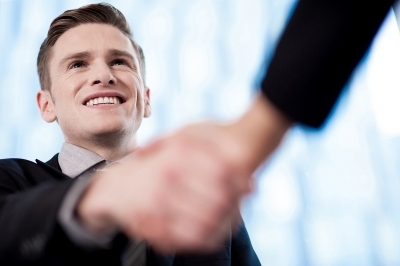 Experts suggest taking these steps before walking into a new job. 1. Learn the lay of the land. Determine the organizational structure and who reports to whom before your first day. 2. Map your route. Determine how long it will take to get to work. Wake up in plenty of time to get ready and leave enough time to arrive a few minutes early. 3. Choose clothes the night before. Whether your position calls for business casual or more formal attire, pick out your ensemble the night before. Avoid wearing new clothes that may be uncomfortable. Make certain everything is clean, pressed, and appropriate. 4. Come in with a smile and a script. You may be a ball of nerves inside, but smile and be friendly to all. Prepare a script to introduce yourself and be ready to shake a lot of hands. 5. Take notes. Bring a notebook and jot down the myriad of details that are bound to be thrown at you, including names. (Don’t be the person who says “I’m bad with names.”) You’ll be grateful you can refer back to these items as things settle down. Discussion: Why is it wise to make an effort to learn peoples’ names in a new work situation? How will co-workers and supervisors react if you are the first one to leave the office on your first day? What tactics can you employ to learn about the new organization on your first day? This entry was posted in 3. News You Can Use and tagged first day on job jitters, new job on April 23, 2014 by bizcombuzz.